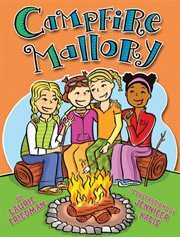 The item Campfire mallory, Laurie Friedman, (electronic resource) represents a specific, individual, material embodiment of a distinct intellectual or artistic creation found in Austin Public Library. It's summertime and the gang is getting ready to go to Camp Blue Lake. Mallory's not so sure she wants to go. Will Mallory find a way to be a happy camper?